Prince Philip was born on the island of Corfu in Greece, on June 10, 1921. As members of Greek and Danish royalty, Philip and his family were banished from his native country when he was young, with the boy subsequently living in France, Germany and Britain. 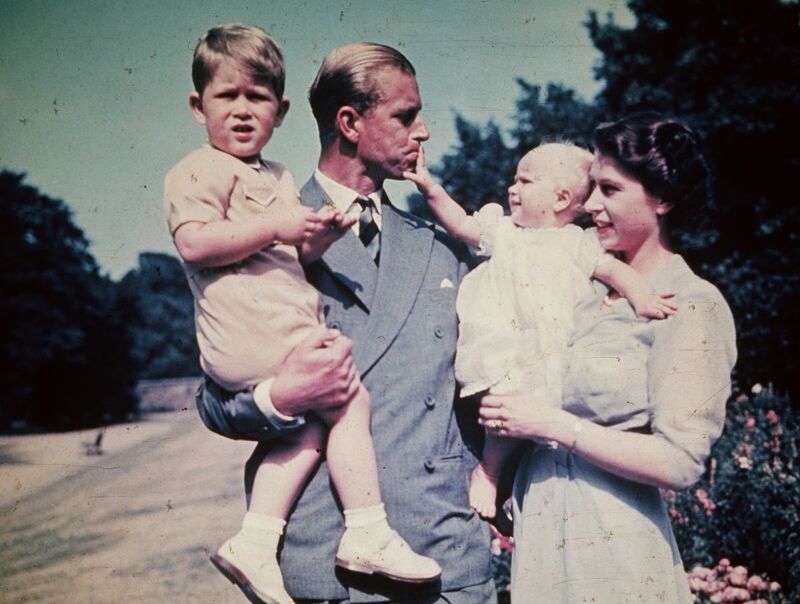 Philip married Elizabeth Windsor (Queen Elizabeth II) before her ascension to the British throne in 1952. 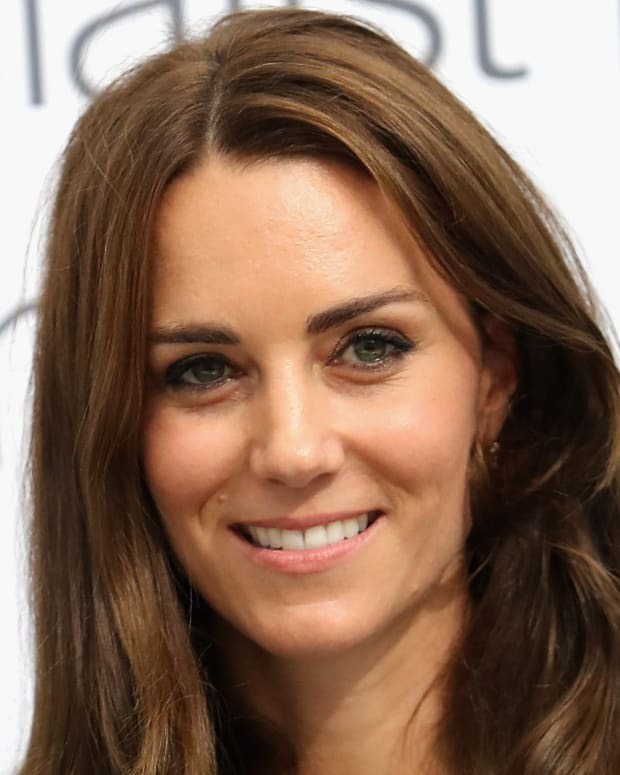 Their children include Prince Charles, heir apparent to the throne, Anne, Andrew and Edward. Philip has served as the British royal consort for more than six decades. Prince Philip, Duke of Edinburgh, Earl of Merioneth and Baron Greenwich, was born on the Greek island of Corfu on June 10, 1921. Also known as Prince Philip of Greece and Denmark, Philip is the only son of Prince Andrew of Greece and Denmark and Princess Alice of Battenberg. He had four older sisters: Cecilie, Sophie, Margarita and Theodora. While not British, Philip does have family ties to England. Shortly after his birth, his maternal grandfather, Prince Louis of Battenberg, died in London. Louis was a naturalized British citizen who had renounced his German titles and adopted the surname Mountbatten during the First World War. 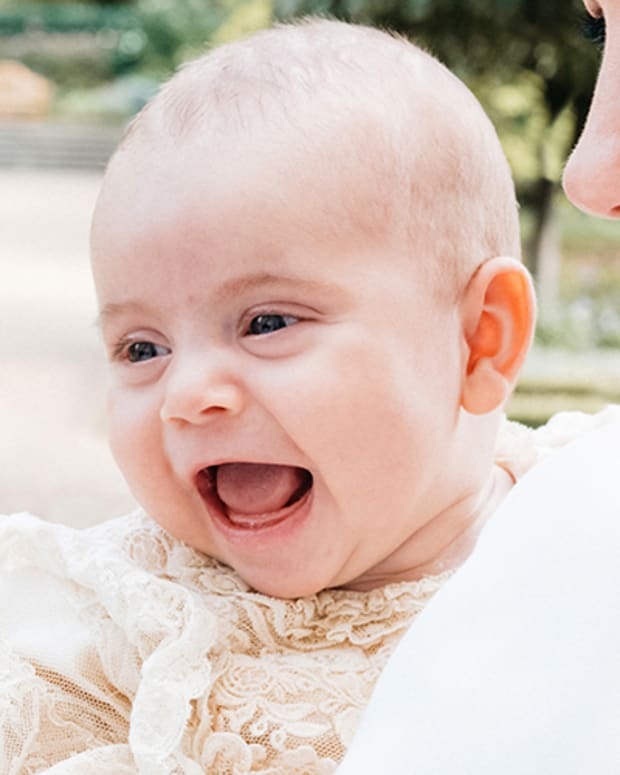 Philip is also related to the British royal family as a descendant of Queen Victoria. 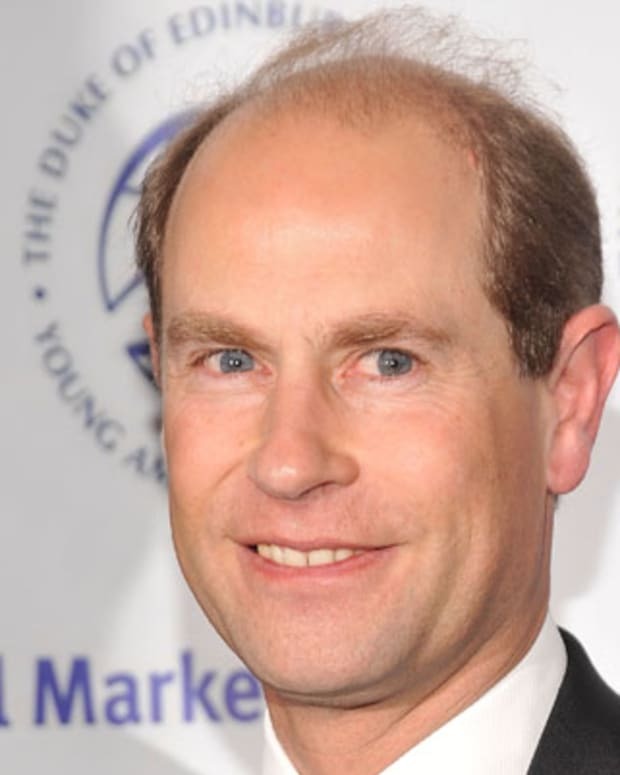 Prince Philip has eight grandchildren: Prince William, Duke of Cambridge; Prince Henry of Wales; Peter Phillips; Zara Tindall; Princess Beatrice of York; Princess Eugenie of York; Lady Louise Windsor; and James, Viscount Severn. Having previously dealt with such ailments as a blocked coronary artery and a bladder infection, in early June 2013, days before his 92nd birthday, Prince Philip underwent exploratory abdominal surgery. He was released from the London Clinic on June 17, following more than a week in the hospital. In early 2015, Australian Prime Minister Tony Abbott made Prince Philip a knight affiliated with the Order of Australia for his decades of royal service. In May 2017, it was announced that 95-year-old Philip, the longest-serving royal consort in British history, would retire from public engagements in the summer. One month later, he was hospitalized again with an infection, but was said to be in "good spirits." In April 2018, after he missed the traditional Maundy and Easter services, Prince Philip was admitted to King Edward VII Hospital in London for hip replacement surgery. 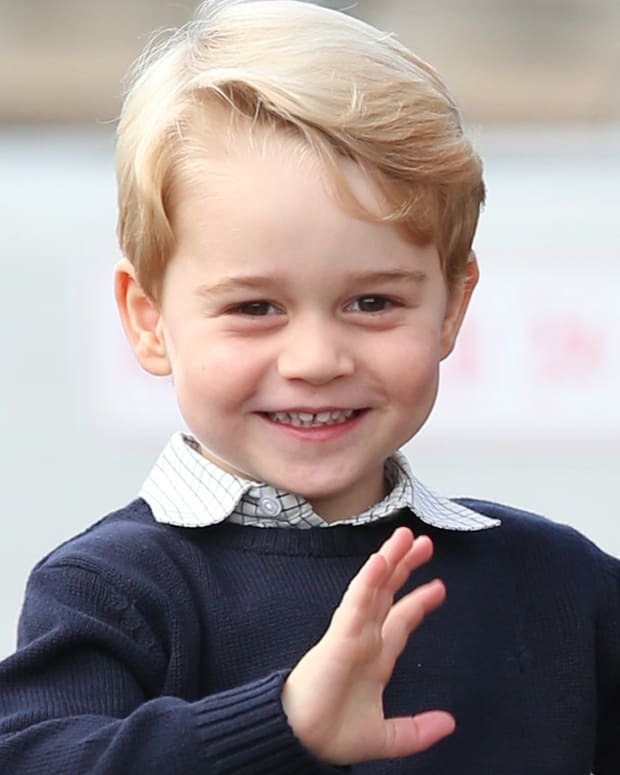 The operation was successful, and the prince was discharged from the hospital eight days later. On September 22, 1922, Philip&apos;s uncle, King Constantine I of Greece, was forced to abdicate the throne. 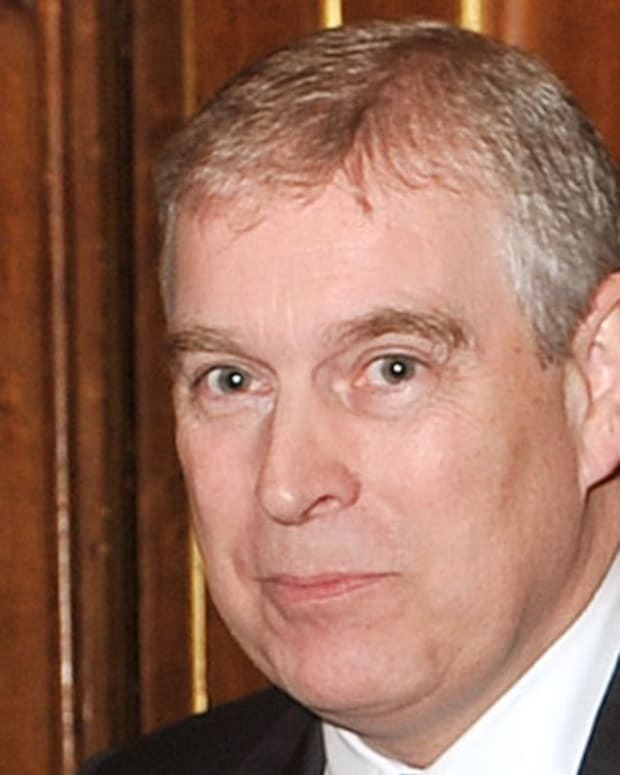 The military government arrested Prince Andrew, and in December, a revolutionary court banished him from Greece for life. Philip&apos;s family went to France, where they settled in the Paris suburb of Saint-Cloud. Philip&apos;s mother was eventually committed to a psychiatric institution while his father relocated to the south of France, maintaining limited contact with the rest of the family. Philip attended the MacJannet American School before he was sent to the United Kingdom to study at the Cheam School. During the 1930s, he relocated to a school in Germany and then moved again to Scotland&apos;s Gordonstoun School, founded by Jewish headmaster Kurt Hahn following the rise of the Nazi party. Many of Philip&apos;s family members remained in Germany, including his sisters, who married into German aristocratic circles. After graduating in 1939, Philip attended the Royal Naval College, where he excelled. During World War II, he served in the British Navy while in-law family members were on the opposing Axis side of the conflict. In 1939, King George VI and Queen Elizabeth (the Queen Mother Elizabeth) toured the Royal Naval College. Philip escorted their two young daughters, Elizabeth and Margaret, who were distant cousins of Philip’s through Queen Victoria. The 13-year-old Elizabeth developed a crush on Philip during the trip. Elizabeth and Philip began to exchange letters, which would continue for the next several years. In the summer of 1946, Philip asked King George for his daughter&apos;s hand in marriage after allegedly proposing to Elizabeth first. The king agreed, provided that any formal engagement was delayed until Elizabeth&apos;s 21st birthday. 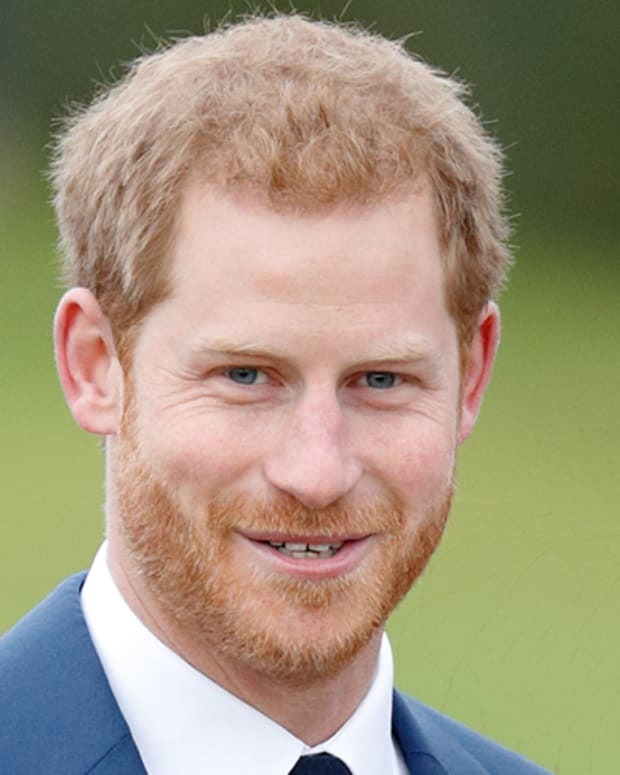 To prepare for the announcement, Philip abandoned his Greek and Danish royal titles, took on the surname Mountbatten from his mother&apos;s family, adopted Anglicanism as a religion and became a British subject. 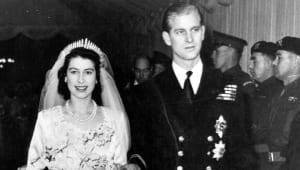 The engagement of Philip and Elizabeth was announced to the public on July 10, 1947. They were married on November 20, 1947, at Westminster Abbey, in a ceremony broadcast throughout the world by radio. 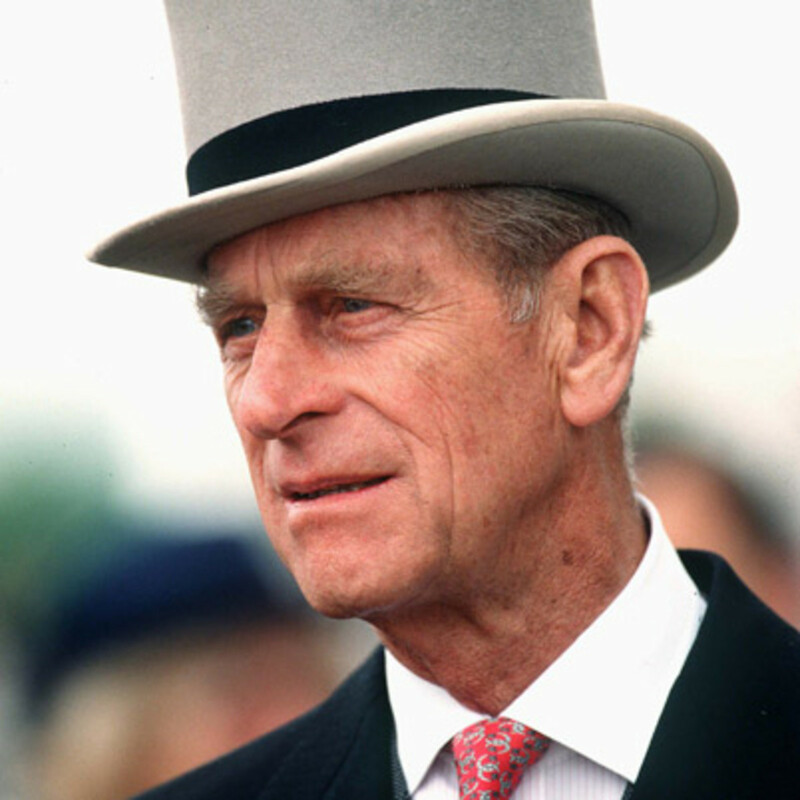 On the morning of the wedding, Philip became the Duke of Edinburgh, Earl of Merioneth and Baron Greenwich. 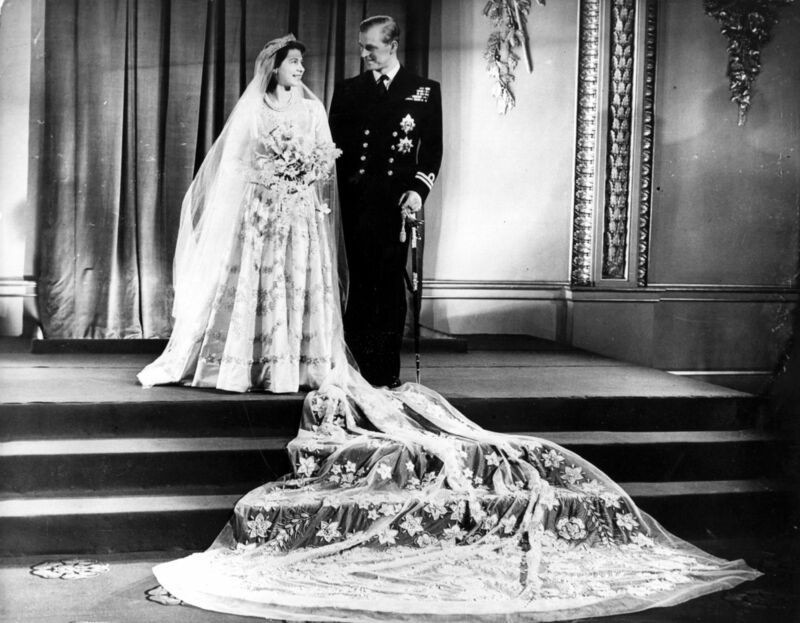 Queen Elizabeth II and Prince Philip on their wedding day on November 20, 1947. He and Elizabeth eventually had four children: Charles, Anne, Andrew and Edward. 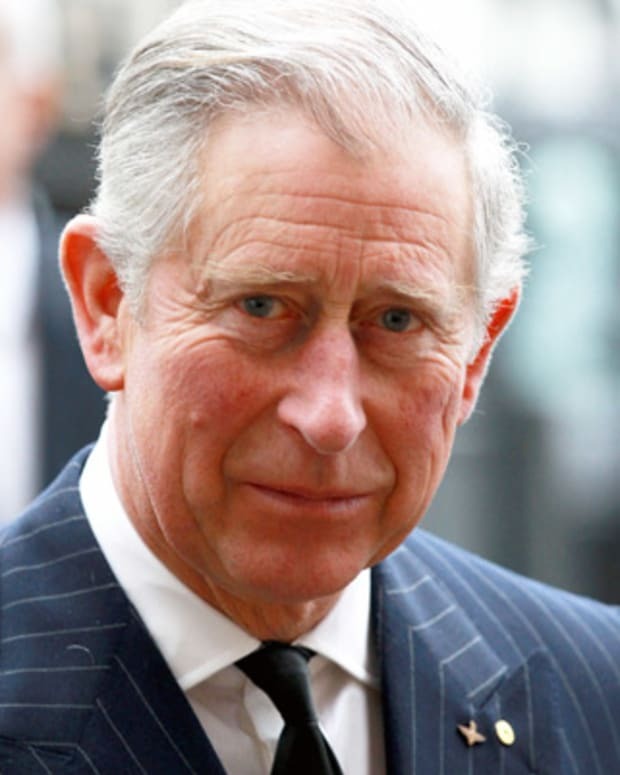 Prince Charles, their oldest child, is the heir apparent to the throne. King George died on February 6, 1952, leaving Elizabeth as his heir. Philip and Elizabeth heard the news of his death while traveling in Kenya. The accession of Elizabeth to the throne raised the question of the name of the royal house. 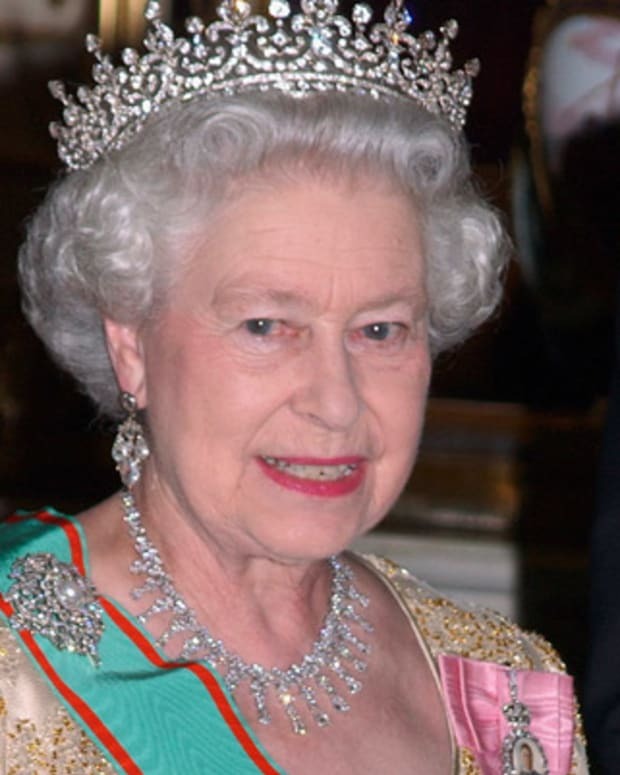 On the advice of British Prime Minister Winston Churchill, Elizabeth proclaimed that the monarchy would continue to be known as the House of Windsor, a moniker first adopted by her grandfather George V.
Queen Elizabeth II and Prince Phillip with their children Prince Charles and Princess Anne in 1951. 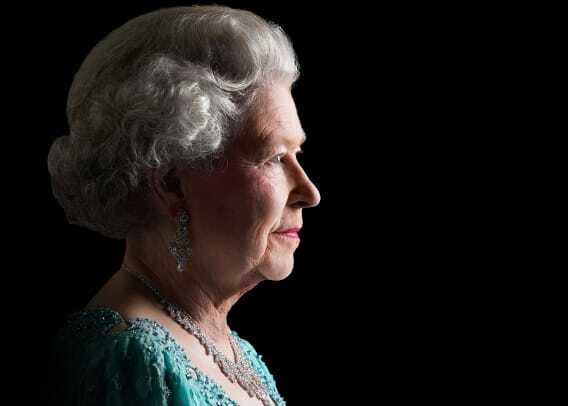 Philip has remained the queen&apos;s consort for more than six decades, having accompanied her in her official duties and appearances throughout the world. Additionally, he has participated in the work of many organizations, particularly favoring those focused on the environment, athletics and education. Philip launched the Duke of Edinburgh&apos;s Award in the mid-1950s, with a focus on youth achievement. He played polo until 1971 and has competed in carriage and boat racing, with piloting airplanes, oil painting and art collecting also among his hobbies. While largely avoiding personal scandal, Philip is known for his outspoken nature and controversial remarks. In honor of his 90th birthday, in 2011, the Daily Mirror published a list of "90 classic gaffes" that were attributed to Philip over the years. 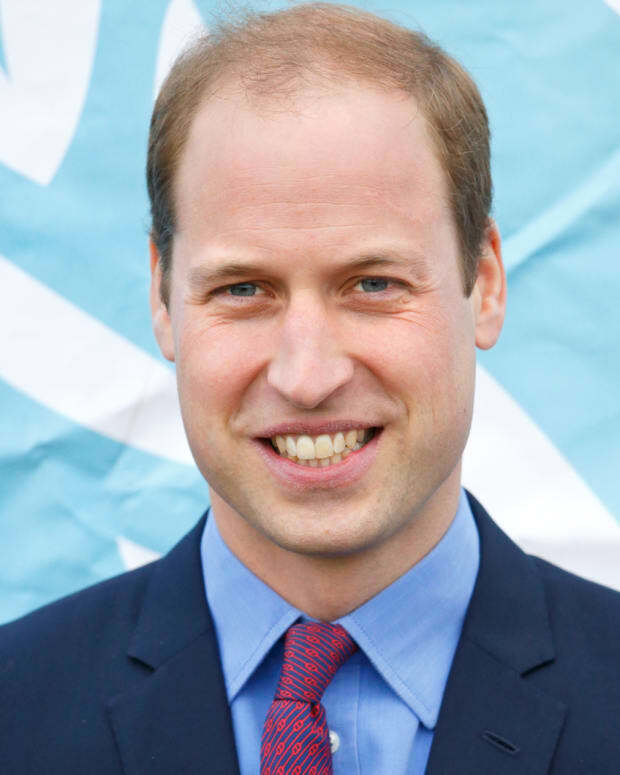 Within his family, Philip has intervened in personal relationships, at times leading to conflict. In 1981, he pressured his son Charles to either wed or leave Lady Diana Spencer (Princess Diana). When their subsequent marriage proved difficult, Philip and the queen reportedly pushed for reconciliation. After Princess Diana died in a car crash in 1997, Philip participated in her funeral, walking with grandsons William and Harry in the procession. Months later, Mohamed Al Fayed publicly accused Philip of being a racist who orchestrated the car crash that killed Mohamed&apos;s son, Dodi Fayed, and Diana. An official inquest found no evidence of conspiracy, however, and the crash was ruled accidental.